Reblogged this on Ace Health & Disabilty News. Scott Adams says 30% of the population does not have a sense of humour. Socialists are drawn from this 30%. Government as cause of third-party perversions include, but are not limited to: (1) Medicare and Medicaid are the ultimate and biggest third-party payers, and they are monopolists at that. 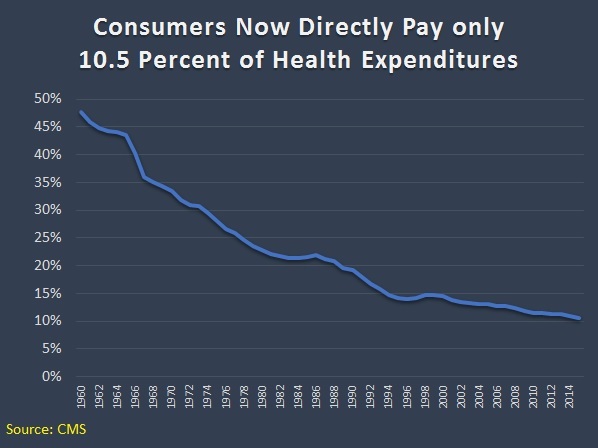 (2) The foundation of the growth of pre-paid health care was the tax-free status of employer health insurance — the bedrock of over-consumption of health care because it was tax free and insulated the patient fro the cost. (3) Add to that the federal HMO act that required employers to offer a full-menu HMO along with any other more reasonable plans. (4) Then came HIPAA that added more requirements, (5) And along the way federal and state regulators added more than 1,000 “must haves” in any insurance plan, such that true catastrophic insurance became difficult or even impossible — examples include requirements to include chiropractic, routine check-ups (which even now require first-dollar coverage), some routine diagnostic tests (some of which are of doubtful value, and some that I may want are excluded), birth control, routine vaginal deliveries, and so on. 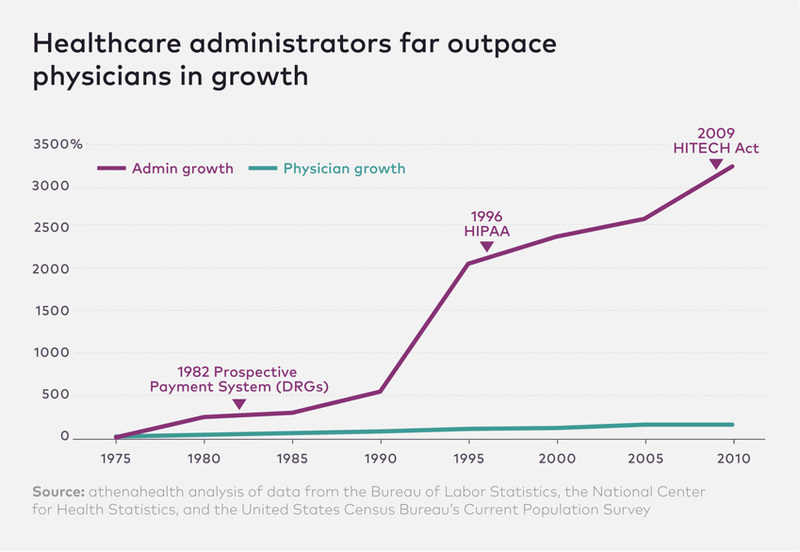 (5) Certificates of need that protect hospital geographic monopolies on the one hand and create excess capacity (for which we pay) on the other…..
Say that tomatoes were declared vital to life and made available free through the Medicare National Tomato Bank. This translates the story of the healthcare market to the tomato market. A long, readable, and informative post. Government rules and controls are pervasive and detailed, both at the state and federal level. Health “insurance” as currently regulated is a general subsidy to healthcare, not insurance against catastrophic events. So, the costs of that subsidy are passed down in insurance premiums and grow to the level of (supposedly lower cost) subsidized use. As Dan Mitchell mentions in his post, much of the dysfunction we witness in healthcare are simply symptoms of the distortions that arise when we rely on a third-party payer system, with heavy government involvement, and all its perverse incentives which distort decision making for all participants. And so often the proposed “fixes” are aimed at mitigating symptoms caused by the third-party effect, rather than peeling back the layers to get to the root cause. Is it any wonder things aren’t improving despite billions and billions of subsidies, massive intervention, regulations and various forms of scrutiny! The competition is between single payer insurance and third party payer insurance, both bad alternatives. A free market alternative is not available, because the individual cannot absorb potential risks, and because the individual has to pay a premium rate for a service where he or she has no previous experience.